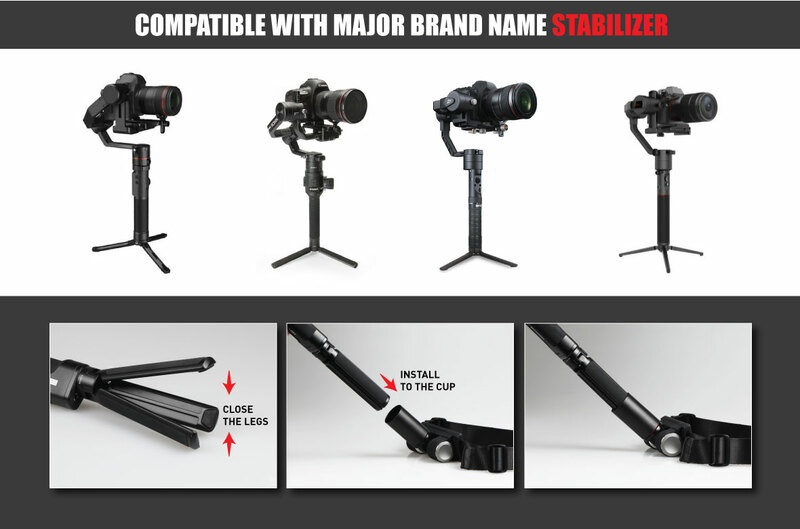 The 3-Axis Gimbal stabilizer is great for video production. 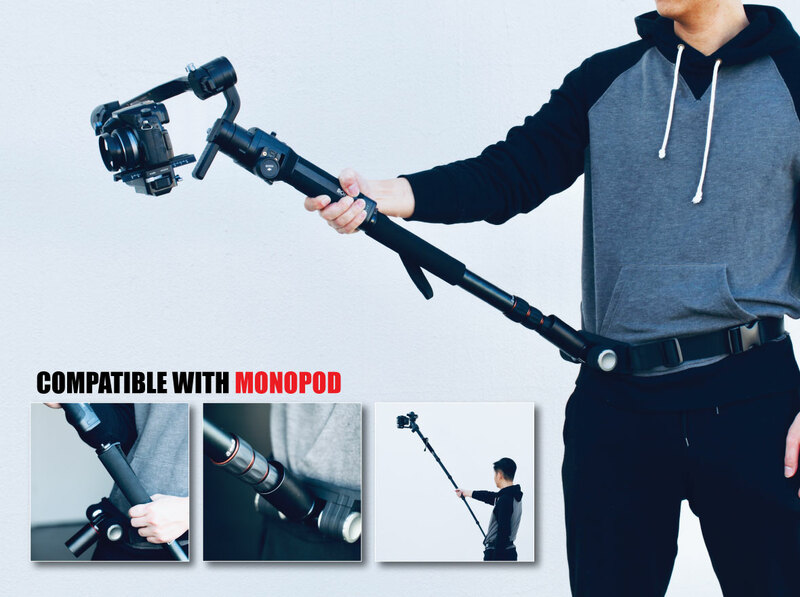 The total weight of the gimbal, camera, and lens could be more than 8 lb , how can we hold them for all day long without feeling tired? 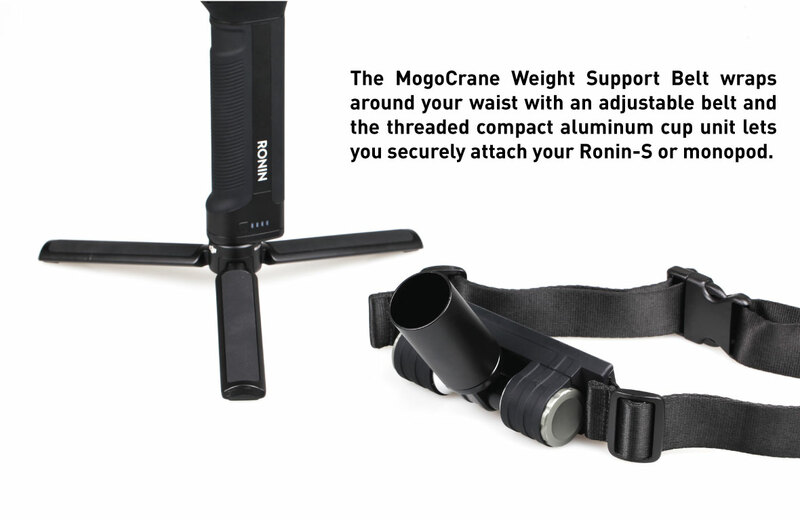 The MogoCrane Weight Support Belt offers an adjustable belt and an aluminum cup holder. 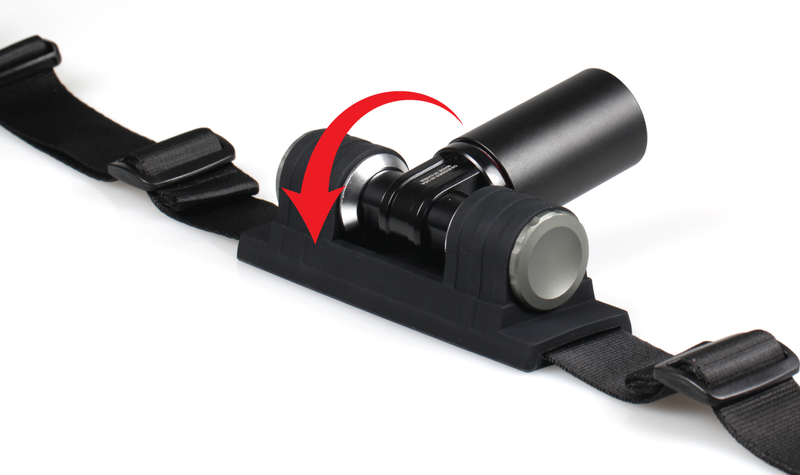 It transfers the weight to the operator's hips.